Looking For The Best Cat Food For Urinary Crystals? 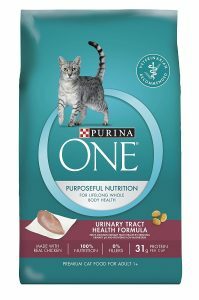 Here’s a look at our favorites, including our top pick – Purina ONE Urinary Tract Health Formula Dry Cat Food. Cats are just as prone to urinary tract problems as humans are. Bladder stones and urinary crystals are usually a problem when there is too much protein, phosphorus, calcium, or magnesium in the system. When these can’t dissolve properly in urine, crystals and stones begin to form. The bad news is that these can be incredibly painful and if left untreated they can lead to dangerous bacterial infections. The good news is that urinary crystals and bladder stones are both easily treatable and preventable. One last thing to mention, we have a separate guide for sensitive stomach and vomiting available. Also another buyer’s guide for older cats, if you have a senior kitty at home. Low Magnesium – the dominant theory on how to treat urinary crystals and bladder stones is to reduce magnesium intake. While protein, phosphorus, and calcium can also lead to stones and crystals, magnesium tends to be the most common culprit. As such, a good cat food for urinary tract health should have low magnesium. pH Balance – most veterinarians agree that the pH balance of your cat’s urine should be between 6.0 – 6.5. If you take your cat in to see the vet for urinary tract issues, they’ll probably test for that. A good cat food for urinary crystals should contain ingredients that lower/balance the pH level in their urine. Water Consumption – generally speaking, drinking more water helps to flush out existing crystals and stones and to wash out the building blocks of crystals and stones before they have time to form. That said, getting your cat to drink more water is a lot easier than it sounds. 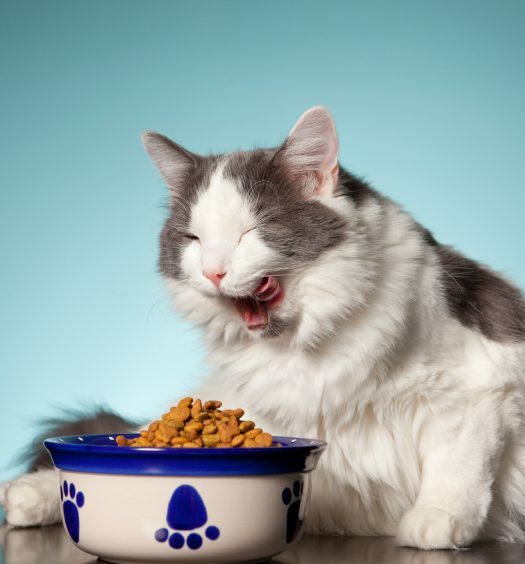 Some cat foods will contain ingredients that cause your cat to drink more water and increases their urine volume. Taurine is probably the most common ingredient for this purpose (the same energy-producing agent you’ll see in most energy drinks). Purina ONE products are designed to provide purposeful nutrition for cats with special dietary needs. They have specialized formulas for just about every concern—hairball control, sensitive digestive systems, aging cats, and urinary crystals. Their super-premium dry food mixes offer 100% complete and balanced nutrition for every life stage, and every mix has ingredients to boost their immune system. They never use any fillers, so you’ll only see high-quality ingredients on the packaging. They’re also designed to satisfy even the pickiest eaters with good taste and a crunchy texture that cats crave. This particular mix is specifically designed for treating urinary crystals. 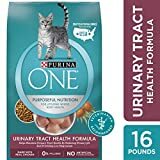 The Purina ONE Urinary Tract Health Formula promotes a healthy urinary tract by reducing pH levels and lowering the magnesium content that you’ll see in traditional cat foods. The Urinary Tract Formula is made with real chicken, it’s easily digestible, and it’s packed with healthy omega-6 fatty acids to promote a healthy coat and skin. Purina Pro Plan is the next step up from Purina ONE. 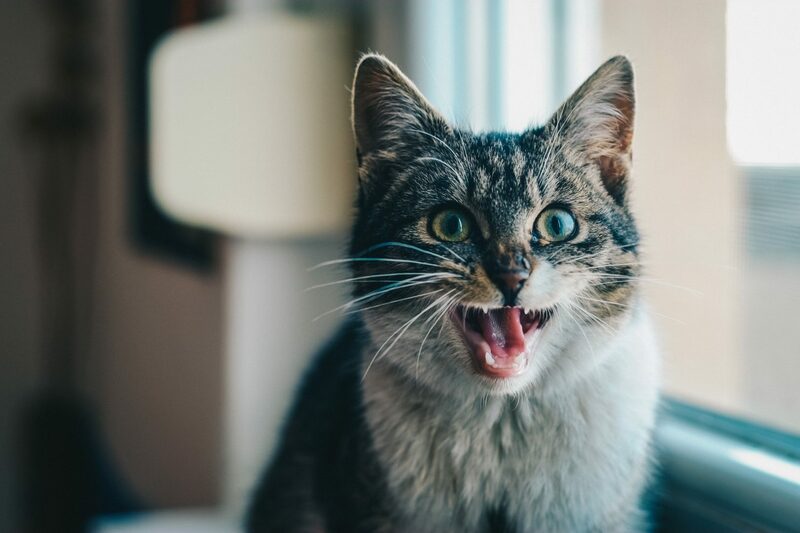 Pro Plan cat foods offer the same total nutrition benefits and wholesome ingredients as Purine ONE, with additional ingredients for even more targeted nutrition. 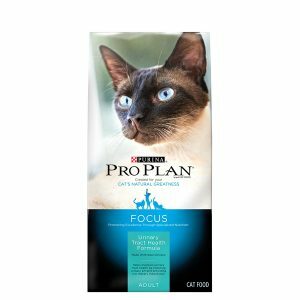 The Pro Plan Focus Urinary Tract Health Cat Food does an even better job of reducing urinary pH levels, and it offers low dietary magnesium. You’ll also see linoleic acid for heathy skin and shiny coats, along with other key nutrients that support healthy joints and strong bones. The dry food mix is 40% protein with no fillers, and all Pro Plan cat foods are manufactured in-house in the USA to ensure quality. 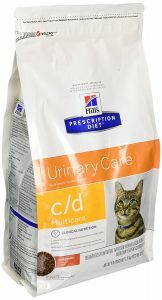 If you feed your cat both dry and wet food, I’d highly recommend getting specialized products for both that address urinary tract health. 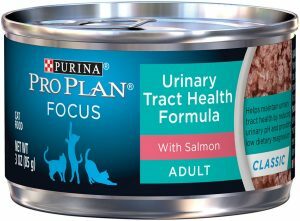 This canned cat food from Purina Pro Plan is a great pick for wet food, as it lowers urinary pH levels and provides a lower level of dietary magnesium. Of course, like the Pro Plan dry food it also includes ingredients that ensure a good immune system, strong bones and joints, healthy skin, and a soft, lustrous coat. 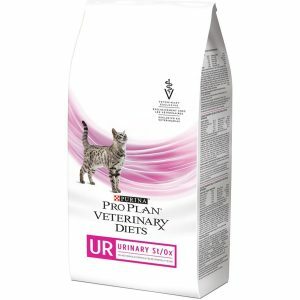 If you’re looking for the ultimate targeted nutrition to combat urinary crystals, you can’t do better than Purina UR Urinary Tract Cat Food. It offers all of the benefits that we’ve already discussed (lowering pH, low dietary magnesium) to promote urinary tract health and kidney function, along with added taurine to promote increased water intake and increased urine volume. The mixture is specially formulated to reduce crystal struvites by targeting urinary acidification, and it is highly recommended by veterinarians. Hill’s Prescription Diet is the superfood-version of their renowned Science Diet mixes. The C/D Multicare mix delivers controlled levels of oxalate, phosphorus, magnesium, and calcium, which helps to limit the fuel that feeds bladder stones and urinary crystals. It also contains higher levels of potassium citrate to block bladder stone formation, and extra vitamin B6 to decrease oxalate formation. Overall, the dry food mix has significantly less sodium to maintain a healthy blood pressure. As a bonus, it’s also packed with fish oil and Omega-3 fatty acids to promote healthy skin and a lustrous coat. 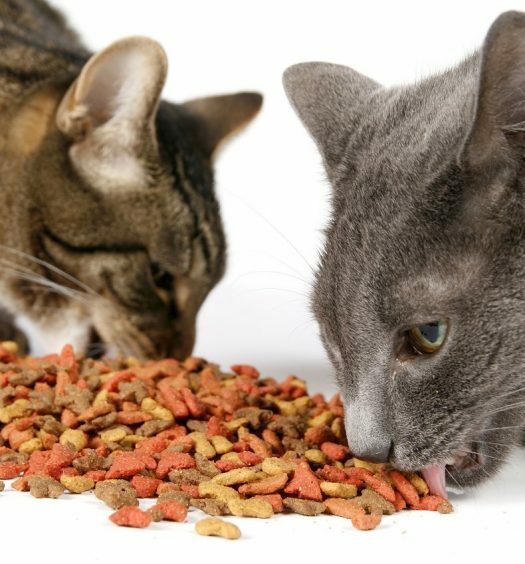 You probably noticed a trend with our discussion today—4 of the 5 best cat food products for urinary crystals are made by Purina. 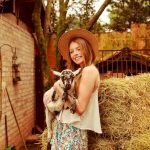 The company has invested a bunch of time and money into creating premium products with purposeful nutrition, working with veterinarians and nutritionists to engineer the best products, and it’s working. It’s definitely a brand you can trust, whether you’re looking for something as simple as total nutrition or as specific as treating urinary crystals. All of their premium cat foods are recommended by veterinarians, and their product offering has multiple price points to meet your budget. If you don’t already feed your cat wet food, I’d recommend adding some wet food to their diet to help with their digestive system. A well-balanced diet should include wet food and dry food, and if you’re able to purchase both products with tailored nutrition for urinary tract health, that’s even better.